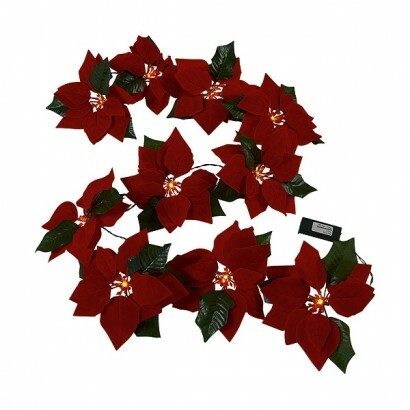 Add vivid colour and elegance to your festive displays with beautiful Poinsettia flowers lit with warm white LEDs. 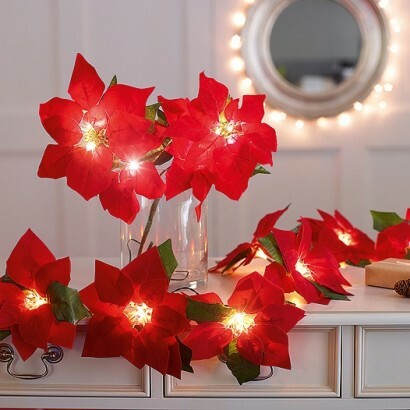 A string of ten large Poinsettia flowers, each lit with a warm white LED, this battery operated garland makes a striking decoration with large velvety red flowers giving dramatic effects. Not just for Christmas, these stylish floral fairy lights can be used to make stunning table decorations or to add colour and light to your home all year round.